No matter who you are, what you do or where you are in the world, you are never far from a weld. People might not always realize it when they go about their business, but high-quality welding has a daily role in our built environments. Welds hold buildings, ships and steel frames hidden within walls securely together. In short, welds form an integral part of the infrastructure of society, impacting millions upon millions of lives each day. People rely on physical structures for safety – every day. That’s why the role and responsibility of constructors and manufacturers is increasingly emphasized and reflected in tightening welding standards. We’re all familiar with NDT methods, from visual inspection to X-rays. Although NDT methods can reveal air bubbles and cracks on the surface, they don’t spot absolutely everything. To the naked eye, the weld can look perfectly fine and well within the requirements of the WPSs. But if the heat input has been too high, the granules may be too big. This will likely cause the weld to break at some point. Despite thorough inspections, duds sometimes make their way to oil rigs out on the open sea or gas pipelines on inhospitable tundra. It’s an accident waiting to happen – and when a weld breaks due to environmental or other stresses, you may have an environmental disaster to deal with. To keep less than perfect welds away from crucial infrastructure, the quality management of welding production itself must be top-notch. You have to catch any deviations before they leave production to keep your customers and your bottom line happy. Now, imagine skipping all of that hassle. Here’s another figure: 100%. That’s the level of traceability any welding production manager wants to see. It’s also what WeldEye for Welding Quality Management can do. It’s a universal software solution for verifying welding quality compliance with the WPSs. By collecting welding parameter data digitally, the system produces valuable information about basic quality documentation items with weld-specific traceability. 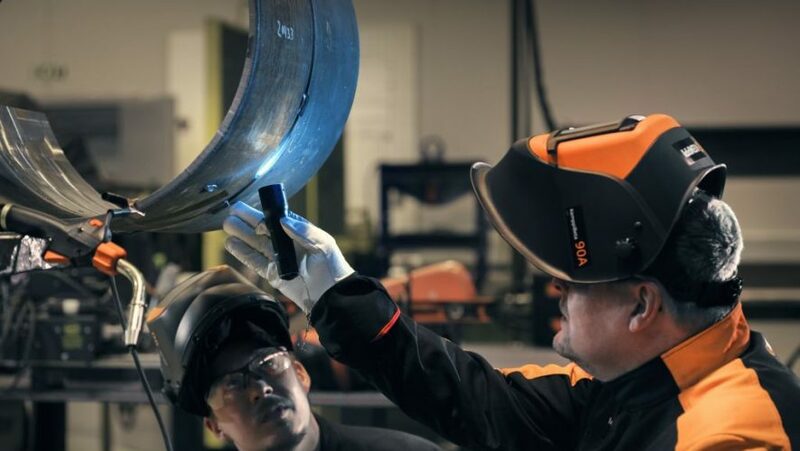 You will also be immediately notified about any welding deviations, which enables real-time quality control, and ultimately reduces overhead costs. Sound like something you could use in your welding production? Head on over to www.weldeye.com to read more about WeldEye for Welding Quality Management or just drop us a line.